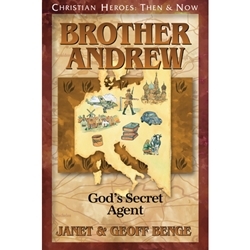 "Lord, make seeing eyes blind," Andrew prayed as two border guards emerged from the guardhouse and asked him to step out of his car. One guard opened Andrew's suitcase. As he moved aside some shirts, there in plain view were the gospel tracts. Andrew's palms grew clammy. A person carrying such material would be arrested on the spot.